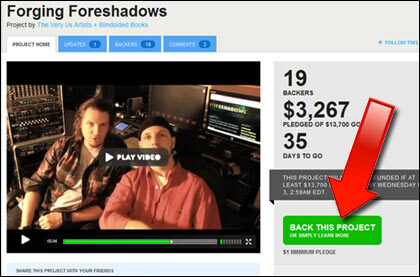 So we've begun a Kickstarter campaign for Foreshadows, and we could really use your help. We're taking something that's already pretty amazing and we're trying to make it better; hence we're asking for some additional funding. You can also watch my brother and I squirm under hot lights and a camera. What I'd love to ask you is to consider donating—however small, you can even drop in $1—and more importantly, tell other people about it. This is a mostly word-of-mouth sort of campaign, so we could use your help. And look for articles and interviews. We've already got our own podcast going. Chipping into this project is your way of being involved, and you can also get some pretty cool rewards out of it. You can see it on the website, but these are the artists you'd be supporting. Many you'll recognize; some you won't. Foreshadows is a pretty big indie project with bigger ambitions than its humble creators. 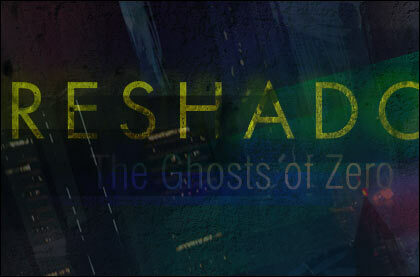 Foreshadows, the anthology project I'm editing and writing for, kicks off its web content TODAY. 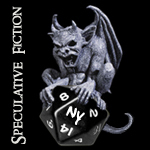 First we've introduced Synthia, an interview-simulacrum on loan from the B-One Corporation. B-One is a pretty hefty corp, to put it mildly. But their Robotics Division is second to none. 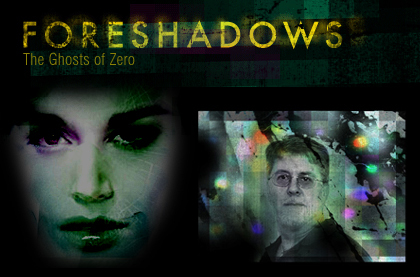 Go to FORESHADOWS.NET now, click on her profile and check out the shadow portrait of author and serial revisionist Brian Matthews. Brian was Synthia's first interview. They both did splendidly. 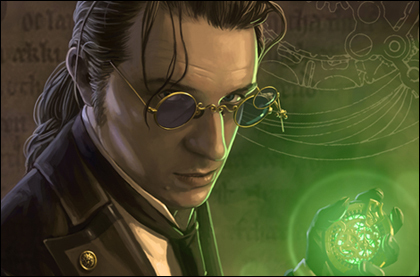 Artist Craig J. Spearing—Portlander, zombie fan, and all-around nice guy—did a very cool thing and created for me a steampunked rendering of me as the Traveler, complete with pocket-watch time-traveling device and multi-lensed spectacles. You can see the full version here. Perfect for author pictures! I'm astounded by it. Aside from doing tons of fantasy work (and in the past, children's book illustrations), he's a regular for Wizards of the Coast and DDI. 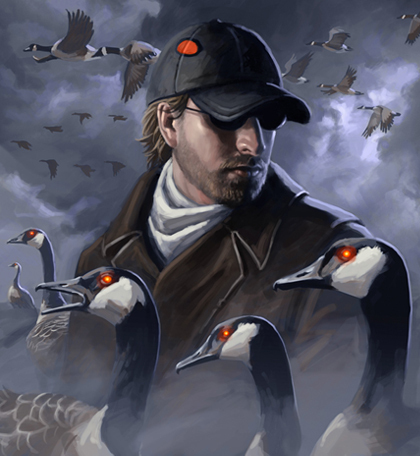 I should also add that Craig is a survivor of the Geesepocalypse. If you don't know what that is, consider yourself lucky.